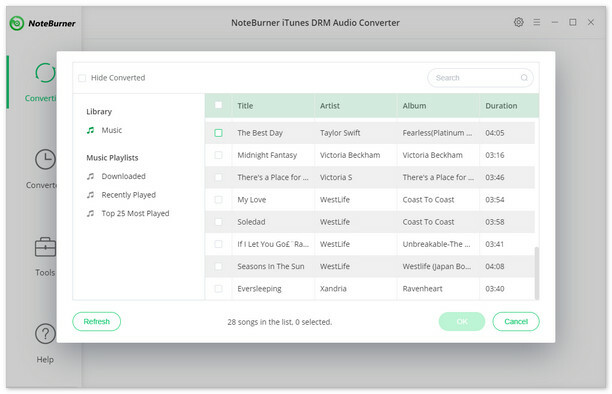 NoteBurner iTunes DRM Audio Converter for Windows is specially designed for Windows users to convert DRM-ed Apple Music files, audiobooks, and m4p audio to unprotected MP3, WAV, FLAC, M4A or M4B. 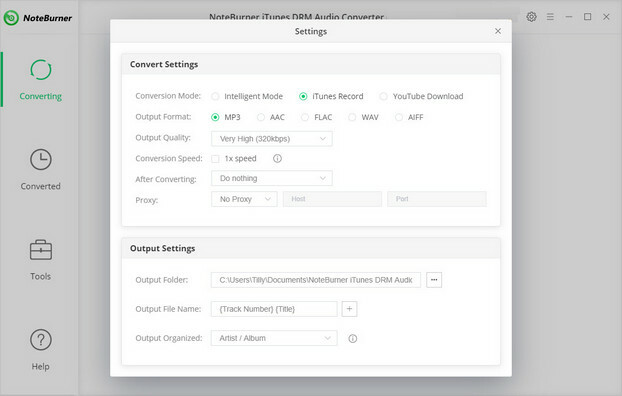 This converter integrates Apple Music Converter, Audiobook Converter and M4P Converter together. It can record audio tracks in the background at 10 speed and keep output MP3 with ID tags preserved.